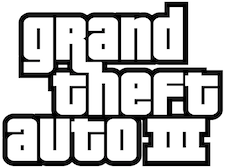 Rockstar Games has announced its plans to launch Grand Theft Auto III on the iPhone 4S and iPad 2. While the popular PlayStation 2 video game originally launched more than ten years ago, Grand Theft Auto III offers more depth than most games available in the App Store today. It looks like the revamped mobile version will require some serious processing power to handle the game – the iOS app will only support the iPhone 4S and iPad 2. Besides the iPhone 4S and iPad 2, Rockstar hopes to bring the Grand Theft Auto experience to Android for the first time. The Motorola Atrix 4G, Droid X2, HTC Evo 2, LG Optimus 2X, and Samsung Galaxy S2 handsets have enough processing power to handle the game. The Acer Iconia Tab, Asus Eeee Pad, Motorola XOOM, and Samsung Galaxy Tab will also be able to run Grand Theft Auto III. Rockstar says Grand Theft Auto III will be hitting the iOS App Store and the Android Market sometime this fall. The design studio has not announced an official price point.